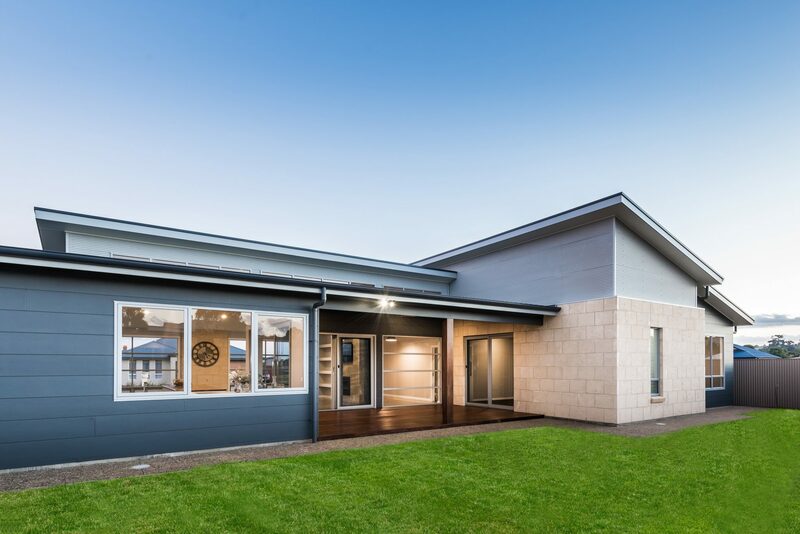 Our primary challenge with this project was the tricky site: we had only a narrow space to work in and the orientation wasn’t ideal. 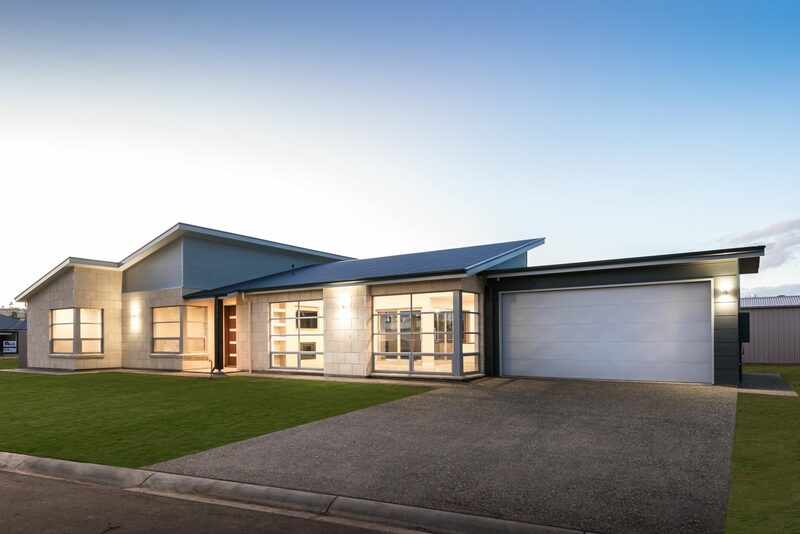 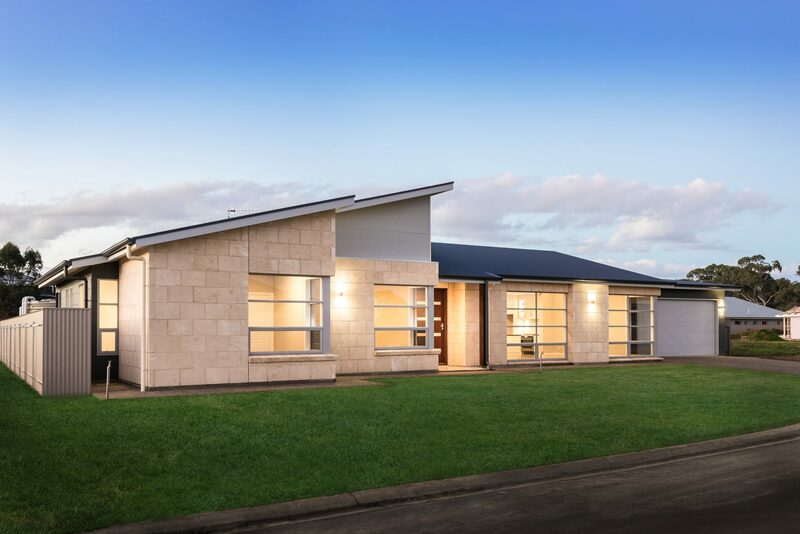 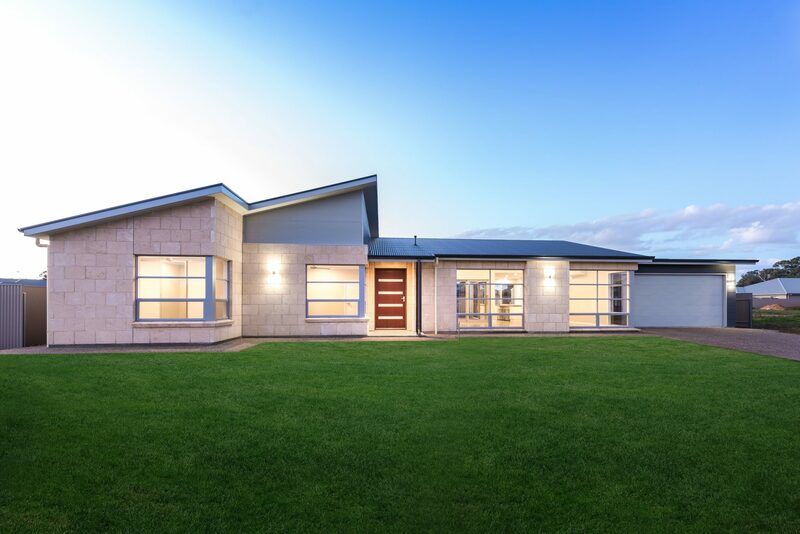 A clever design incorporating a broad skillion roofline and asymmetrical styling helped overcome both these issues and delivers the wow factor: no two elevations are the same and the back has just as much visual appeal as the street frontage. 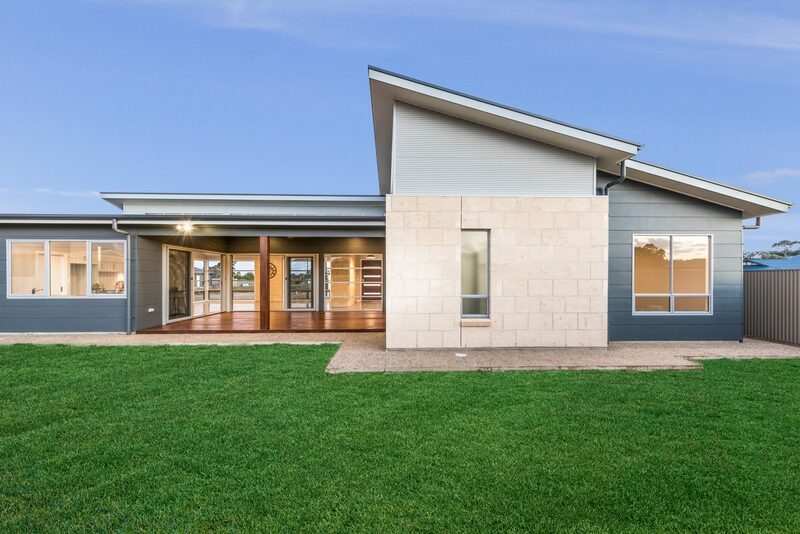 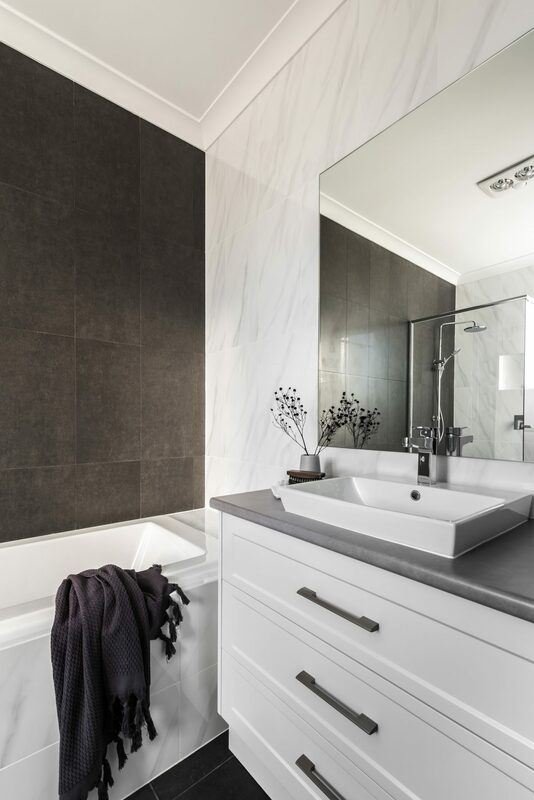 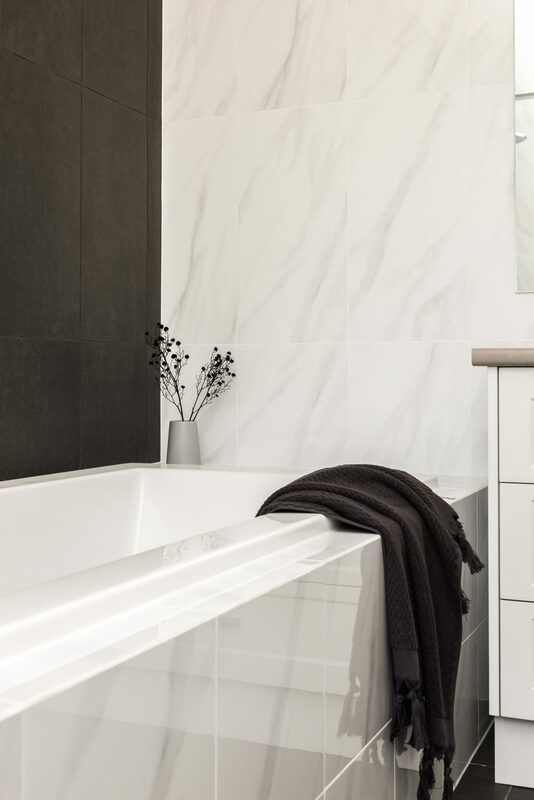 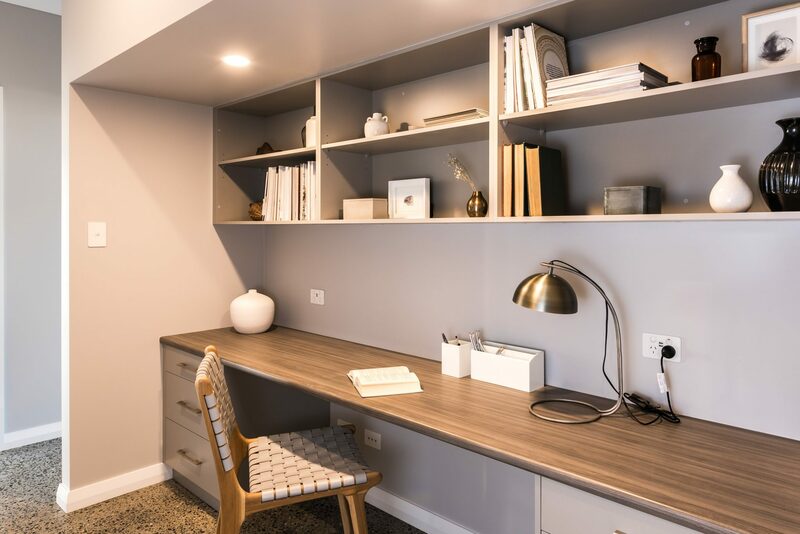 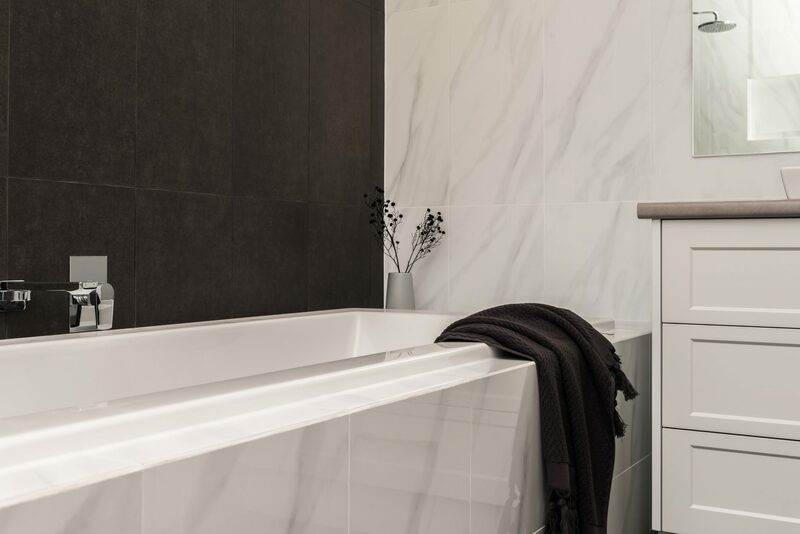 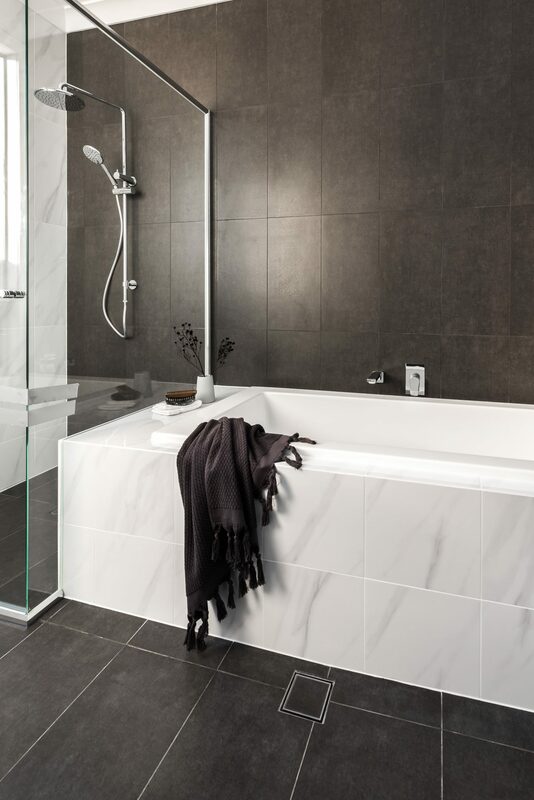 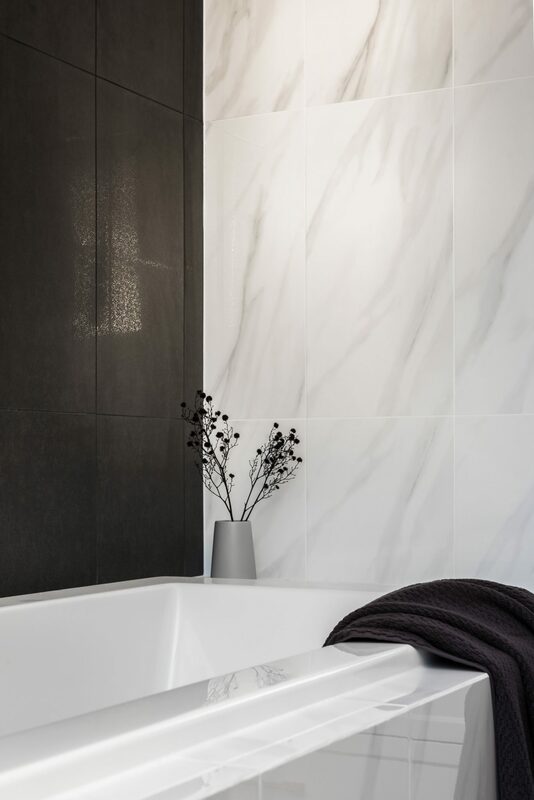 The bold mix of finishes, selected in collaboration with the client, include Hardie Scyon Stria and Colorbond Mid Oak horizontal wall cladding; their crisp lines softened by the addition of WA diamond-cut limestone. 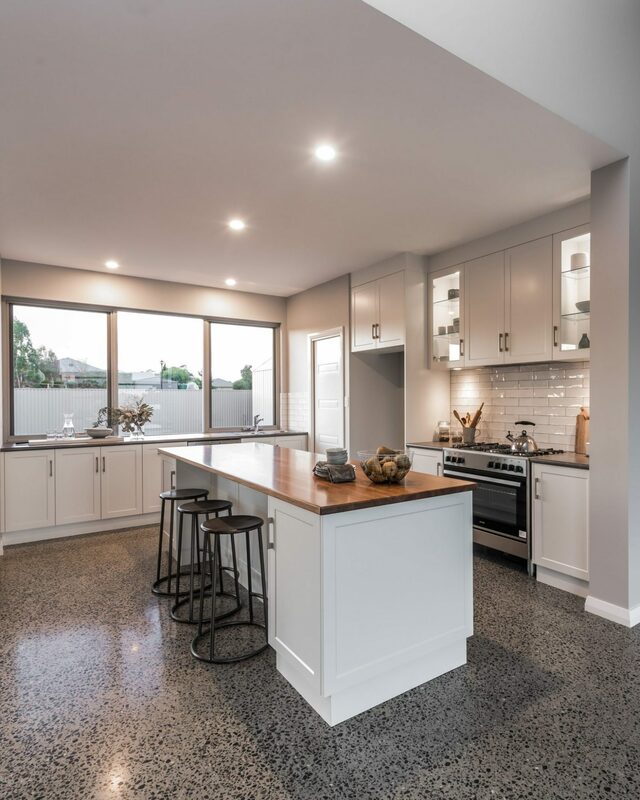 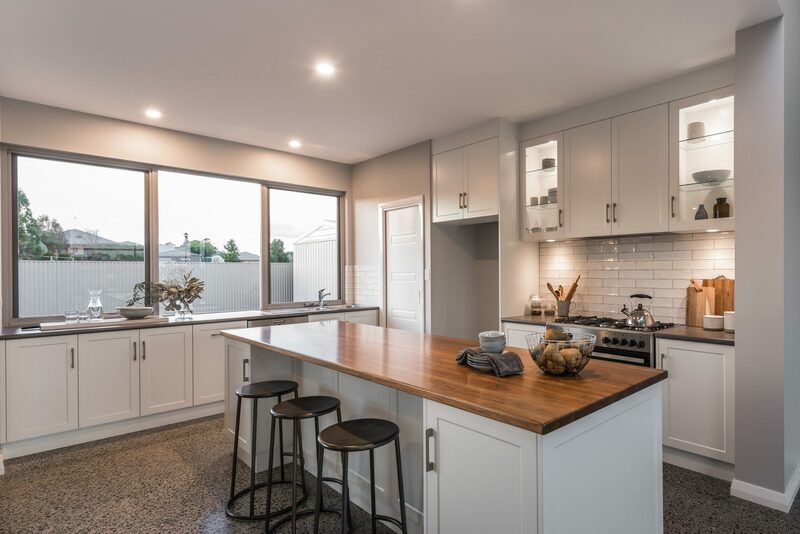 The home’s solar-passive design informs the aesthetic of the interiors, with high, raked ceilings, north-facing glazing and polished concrete flooring throughout the living areas to maintain thermal comfort year-round. 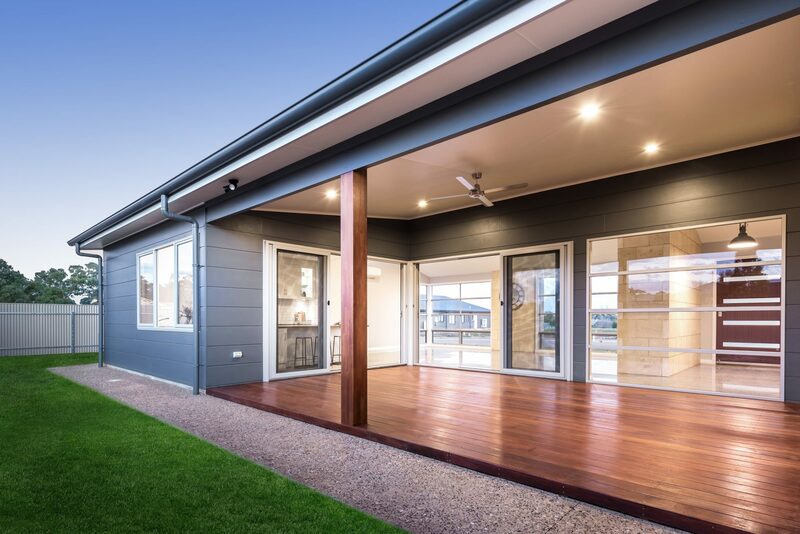 One of the things we love most about this home is the seamless connection between indoors and out. 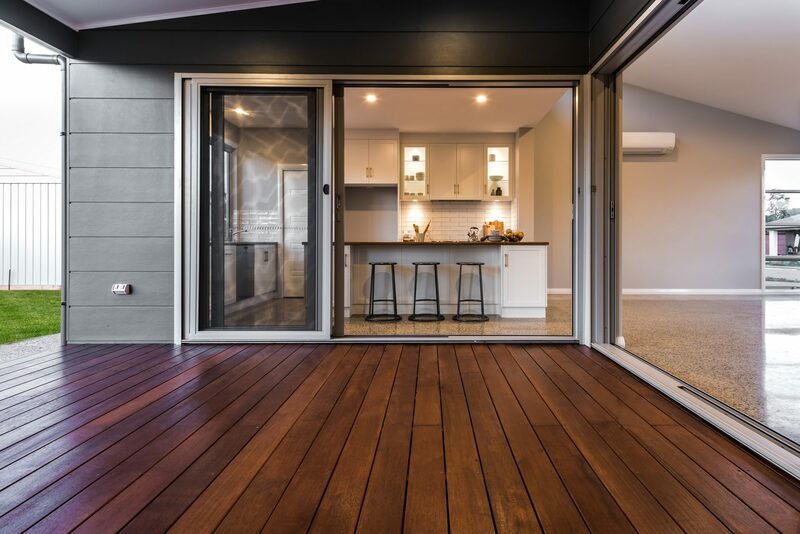 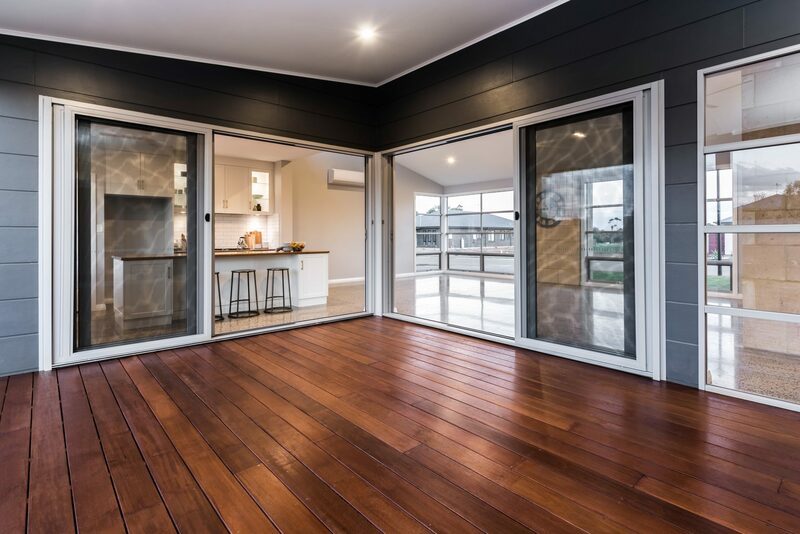 The living spaces open onto a wide, sun-drenched courtyard-style timber deck via a series of full-height glazed doors. 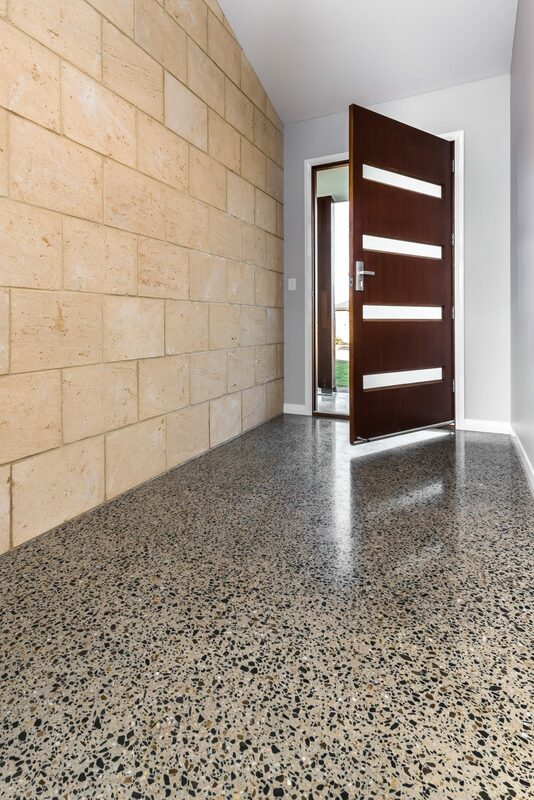 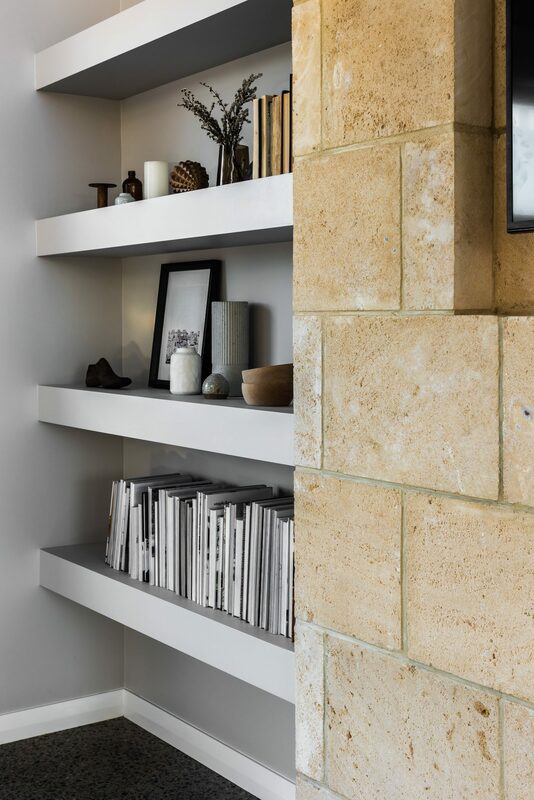 The use of limestone carries into the entryway and living space, its texture and warmth bringing a raw appeal to the sleek interiors. 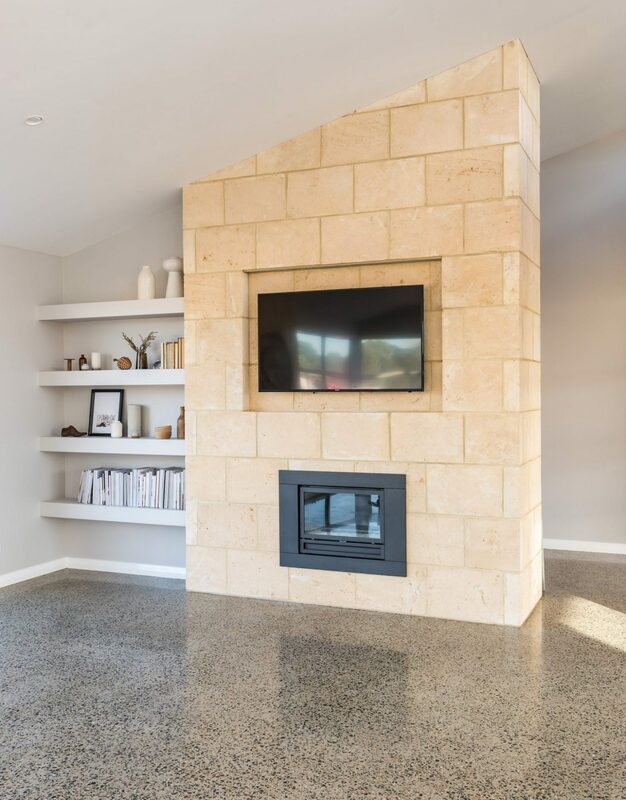 In the living area, the stone wall was expertly engineered to house both a television and gas fireplace. 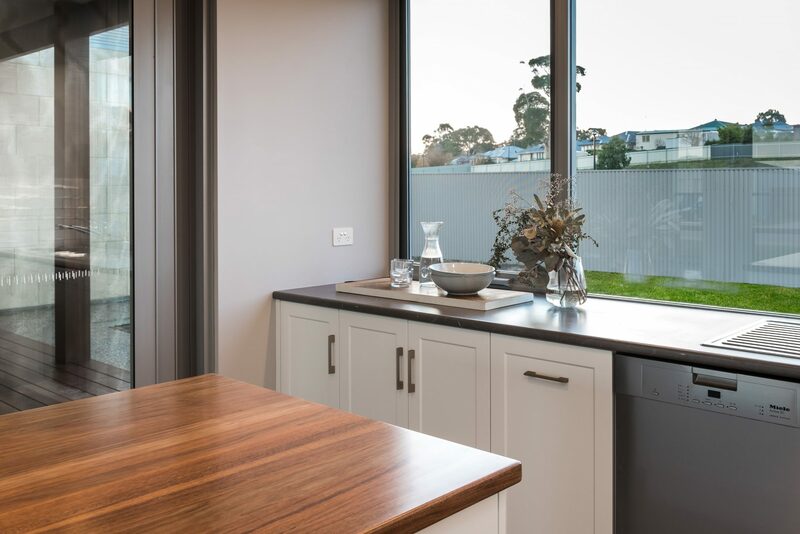 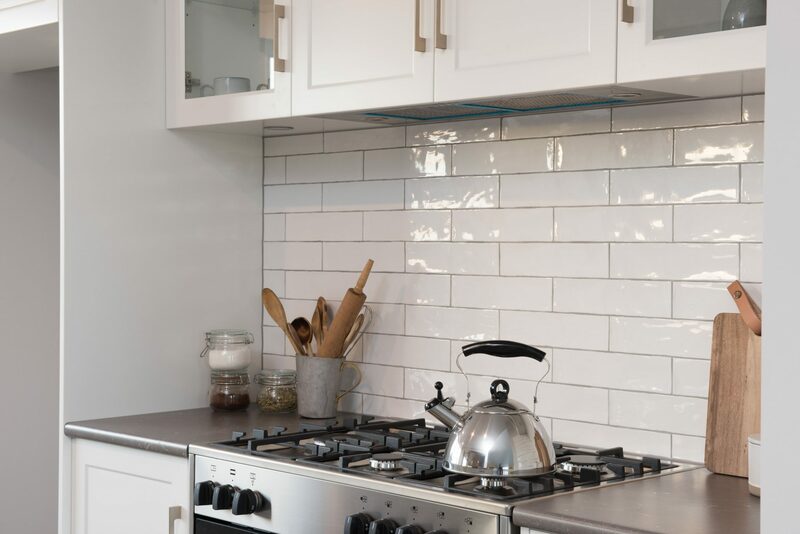 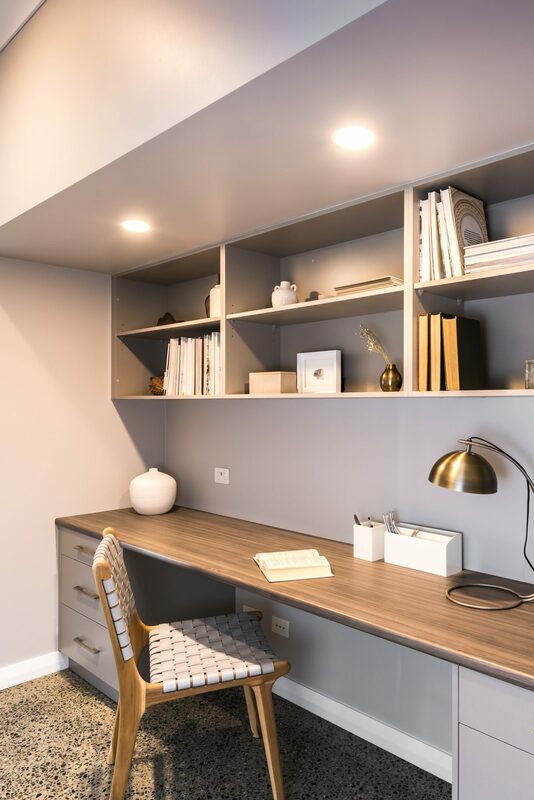 Every element of this 276 sq/m home is beautifully resolved and finished to the highest specification, successfully meeting all aspects of the client’s brief and more.